Her first library book was The Swan by Anna Pavlova; her first date with her husband was to see The Nutcracker by Ballet Philippines. 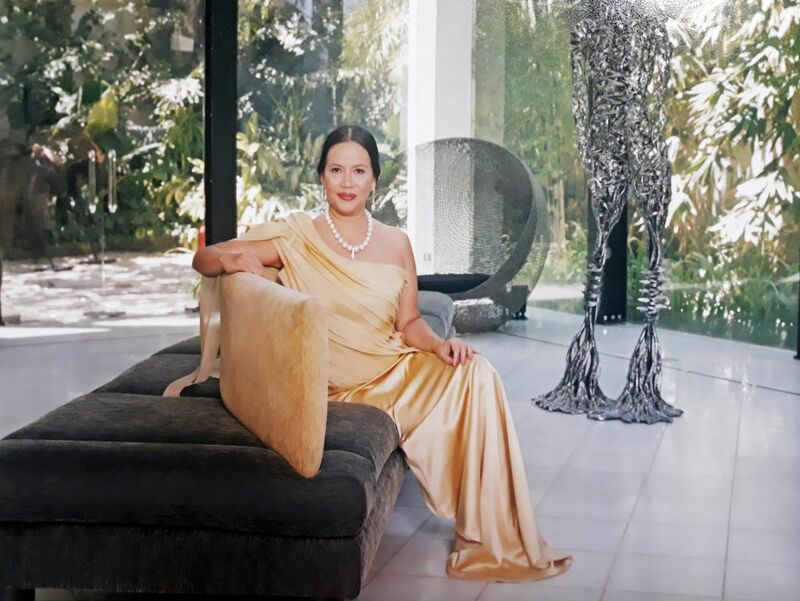 Now, Kathleen Nolasco-Lior Liechtenstein, businesswoman and civic leader, sits as the president of the country’s premier ballet company, Ballet Philippines, opening the season under new leadership. She talks to Philippine Tatler about her plans in promoting not just the company but the art as well. How do you feel about being at the helm of this premier ballet company? I’ve been with the board for 15 years and served as its treasurer for 10. Nine years ago, when I was offered the post, I felt that I was not ready. I still feel that I am not but I realise that it’s time to serve a company that has been part of my life, especially as it approaches its 50th season next year. I am deeply honoured by this opportunity to serve. What core strengths are you bringing to the table? Experience in business will contribute to the company. I can make decisions that are free of artistic impulses or attachments. As a businesswoman, I enjoy troubleshooting in the boardroom and unravelling knots and folds. My love for ballet inspires me to make the tough calls that will help the company sustain its grand jetés for the next 50 years. What is your strategic plan for your first year? For the next five years? My first year is devoted to streamlining processes, protocols, and structures within the company to make it more sustainable. I want a larger audience, that would include the younger ones, to realise that ballet is an experience and not just a form of entertainment. Another project that I would like to push further is Toe Shoes, a junior board that aims to convene the next generation of art patrons, give support to ballet, and hone love for the arts among the young. Where is the company weakest? Where is it strongest? Ballet Philippines has an excellent repertoire, some of which were conceived by no less than National Artists; an infinite pool of talents and over 100 scholars; performed at the Bolshoi, opened at the Sydney Opera, and graced countless major halls around the world. Ballet Philippines is also the first professionalised dance company, with proper accounting books, archives, regularised fees, the only ballet company with 100 per cent tax-exempt status for all our donors and sponsors. Our main obstacle is talent exodus. The board has set up supplemental funds to address this issue, which has also plagued other industries. While this reality is a bane to BP, we are proud of many of our alumni who have conquered the global stage as principal dancers and soloists. What is your dream for Ballet Philippines? One of my dreams is about to happen next season, so watch out for it! I also hope to have a bigger BP Barangay Ballet that can take care of talented children living in marginalised areas, and to see a learning system in the country that will integrate a Dance Art and a Dance Sport. The 49th season is a prelude to our Golden Anniversary. Our artistic director and National Artist for Dance, Alice Reyes, has lined up five spectacular shows: Carmina Burana in September, which features music from the ABS-CBN Philharmonic Orchestra, vocals by the Madrigal Singers, and design set by National Artist Salvador Bernal; a mixed bill of Carmen and other dances in October by three of BP’s second-generation choreographers; Snow White in December; Romeo and Juliet is a must-see in February with Bernal’s original set design as the backdrop, which was commissioned by LV Locsin; and to close the season, Tales of the Manuvu in March, which will bring rock to the ballet. This is the show that will—quite literally—end with a bang.